If someone could go back in time and visit Ed O’Neill in high school in early 60s Ohio and told him he’d one day be famous he no doubt would have assumed it would be as an NFL star. The young O’Neill attended Ohio University on a football scholarship and was even signed by the Pittsburgh Steelers but an NFL career was not in the cards: Ed was cut in training camp. Ed went back to school and became involved in a theatre group and performed in many local productions before moving to LA and pursuing a career in acting. Ed didn’t find immediate success however, he had a series of bit roles and commercials until his first big break when he was cast as Popeye Doyle in the pilot for a TV series based on The French Connection. Ed was nearly 40, evidence that success can finally come at any age. The success was short lived however as the pilot was not picked up as a series. But the high profile led to more chances and Ed finally hit the big time in 1987 with the lead role in a series for the new Fox network: Married With Children. 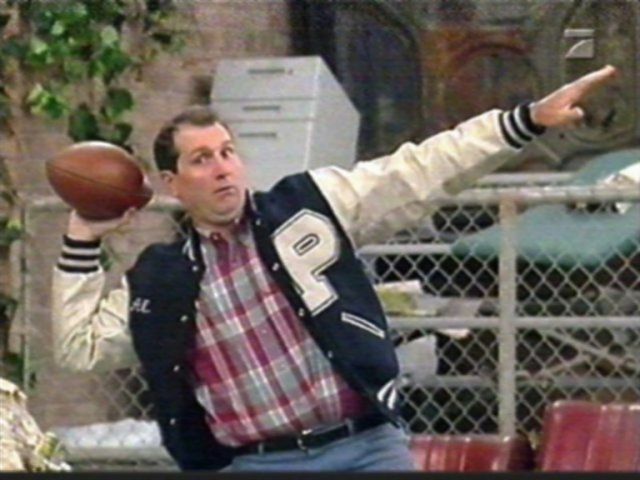 Married With Children ran for 10 years, after which O’Neill ran into a bit of typecasting: he was so identified with Al Bundy that it was hard to find work in other roles. He worked steadily in movies and TV but it wasn’t until 2009 that he landed another starring role on a network comedy: Jay Pritchett on Modern Family. The role is notable in that it’s the second time O’Neill was teamed with a sexpot wife, this time it was Colombian bombshell Sofia Vergara. In his personal life, Ed has trained in Brazilian Jiu Jitsu under the legendary Rorion Gracie for the last 16 years. He recently received his black belt, and despite being 65 years old can probably snap your arm in seconds. He’s also slated to receive a star on the Hollywood Walk of Fame this year, something that’s long overdue. Ed O’Neill, men everywhere hoist a beer in your honor.